after which they must be certified, which may take several weeks. The results we posted are NOT final! Take a deep breath everybody! We will announce the final results as soon as we get them. There were over 11,000 ballots not yet counted. 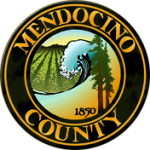 Mendocino County Assessor-County Clerk-Recorder Susan M. Ranochak announced that as with every other election, there are ballots left to be processed as part of the official canvass. 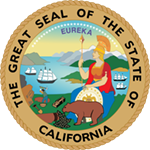 Mendocino County has 14,354 Vote By Mail ballots to process, and 410 Provisional ballots to review and process. The 3rd Supervisor District has 2,883. The 5th Supervisor District has 3,828 ballots to count. Mendocino Coast Health Care District (Measure C) has 5,165 ballots to count. Fort Bragg Rural Fire Protection District (Measure D) has 1,83. Coast Life Support District (Measure E) has 814. Southern Humboldt Community Health Care District (Measure F) has 31 ballots let to count. Per State law, we have 28 days to complete the canvass. The Statement of Vote, which breaks down results by precinct, will be available at that time. Mendocino TV believes that a parcel tax will be coming. The need for it though, has not been articulated well by the management of the hospital. The play to gain sympathy from the public outcry and alarm over budget shortfalls by threatening to cut a popular program, OB services (or other critical / popular service) as the only solution to the contrived budget deficit. Gaining support for the parcel tax, through sympathy for the program, then when they don’t pass the parcel tax, they can vilify the opposition for cutting the program. A fatal flaw in Measure C revolves around the process of creating an oversight committee. That is another way to take fiscal responsibility over the tax from upcoming elected directors over how to spend the parcel tax and give it to an appointed committee. The Board of Directors are elected to oversee financial decisions for the hospital, we don’t need an oversight committee! How can our community be asked to commit to a 10 year parcel tax when the current board isn’t committed to staying on the MCDH Board to see out the consequences of their decisions. The MCDH Board also committed to a 4 year contract with CEO Bob Edwards even though 4 out of 5 board members are NOT running for re-election to the board this year. The situation created by the existing Board of Directors essentially handcuffs the incoming candidates for the MCDH Board in 2 of their most essential responsibilities, Fiscal Oversight and their ability to hire and fire the CEO and the CFO. Let’s see what the upcoming election brings in the MCDH Board of Directors before we address a parcel tax. It should be a plank in some candidates platform in the upcoming election Maybe we could do some planning on what the parcel tax is specifically for, rather than a fairy dust committee, sprinkling bits of money here and there, like fairy dust. Concrete plans, not fun money.